This honest and enlightening book from one Christian parent to another is filled with encouragement and time-tested techniques for anyone who wants to ensure the health and happiness of their own family. 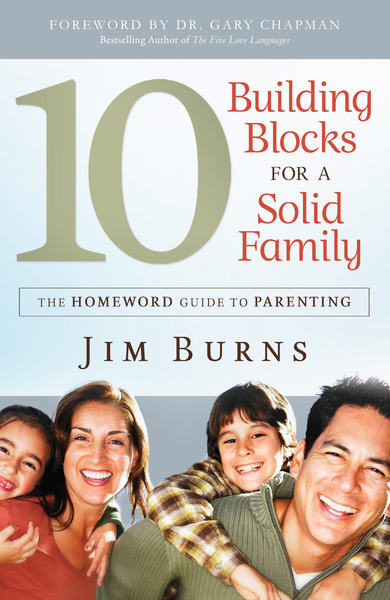 Jim Burns will be the first to tell you that no family is perfect--including his own--and in 10 Building Blocks for a Strong Family, he emphasizes the heartening news that most parents do a good job of parenting but just don't know it. Here parents will find personal stories from interviews with parents and experts on family relationships, covering almost every aspect of parenting--from helping children deal with stress to learning to play together as a family. When readers learn the ten essential principles for creating a strong, close-knit household, they'll discover a family that shines with love for God and one another!